The approval of the Warkworth open-cut coal mine extension by the Planning Assessment Commission moves the mine boundary from the existing five kilometres to 2.6 kilometres from the town of Bulga, a stable township with a 200-year history. We condemn this decision because it threatens the health of local communities. The review by the commission chose to ignore evidence presented that the air quality modelling in the environmental impact statement had glaring faults. This included defective modelling that predicted better quality air in Bulga after the mine expansion than is recorded now by the Environment Protection Authority (EPA) monitors in the town. Yet the commission contradicted its findings that there would be no adverse health impact on Bulga by suggesting moving the town on the basis of adverse air and noise impacts. NSW has an outdated air quality standard for the annual average for particles in the air (PM10). It’s out of step with the recommendations of the World Health Organisation and with the current revision of Australia’s national air quality standards about to be introduced. The old standard of PM10 ignores current science that indicates chronic lung disease and lung cancers occur with this exposure level. Yet the commission review claims the mine will “comply with relevant air quality criteria”, ignoring the fact that significant health impacts will occur from exposure at the old criteria. Relevant criteria should surely be to protect health, not just to comply with what the pro-mining government of the day has legislated. As the mine is seeking approval for 21 years, it will cause breaches of Australia’s air quality standards for 20 of those years. During that time medical science indicates a probability that in Bulga and surrounds, there will be more heart and lung disease in adults, more asthma in children and reduced life expectancy. Nor does moving the town confer health on the present inhabitants. Such upheavals are a cause for ongoing mental stress and illness. There are even greater concerns. Residents close to open-cut mines may have been given a copy of the NSW health department information sheet “Mine blast fumes and you”. Blast plumes sometimes contain high levels of toxic nitrogen dioxide, which give the plume an orange tinge. These plumes sometimes travel several kilometres before dispersing. In recent years they have hospitalised groups of miners in both the Hunter Valley and in Queensland mining areas, despite being three and five kilometres from the blast site. Low level exposure causes eye and airway irritation, but higher level exposure can cause sudden fluid in the lungs, leading to breathlessness and death. Governments in Australia need to be reminded that they should be an arbiter standing firmly between the community and the proponent of a development and not an additional proponent. The outcome of Rio-Tinto versus Bulga is reminiscent of many decisions on mines in developing countries where resource development is deemed necessary for national viability. To trade off health for temporary jobs and financial gain is never acceptable in advanced countries that have alternatives. The Hunter Valley has a great opportunity to create jobs in sustainable agriculture and renewable energy, jobs that can continue for decades after extractive industries have closed and moved on. Government policy is that economic impact should be the primary criterion for assessing mining projects, but the economic analysis never includes the value of future health and environmental impacts. How much is it worth for a child to grow up with reduced lung function? Economic analysis that counts the profits and ignores the losses is not a sound basis for decision making. This decision will also harm Australia’s international reputation. 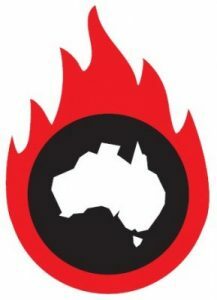 Australia is increasingly seen as an advanced, wealthy country developing and exporting coal reserves that fuel climate change to the detriment of the health of all nations, as well as the citizens of Australia. The health harms from climate change are one of the greatest challenges of our time, according to the World Health Organisation. We would expect to see condemnation of this approval by the NSW Opposition Leader Luke Foley, since the Australian Labor Party has on its website the slogans: “It’s Our Future” and “What we’re fighting for”. The future it identifies includes better health, a sustainable environment and being a good global citizen. The World Heath Organisation states: “Promoting and protecting health and respecting, protecting and fulfilling human rights are inextricably linked.” This is an important issue upon which Labor can emphasise what it stands for. Dr David Shearman is honorary secretary of Doctors for the Environment Australia. Dr Ben Ewald is a member of Doctors for the Environment Australia and Newcastle GP who teaches epidemiology at the University of Newcastle. 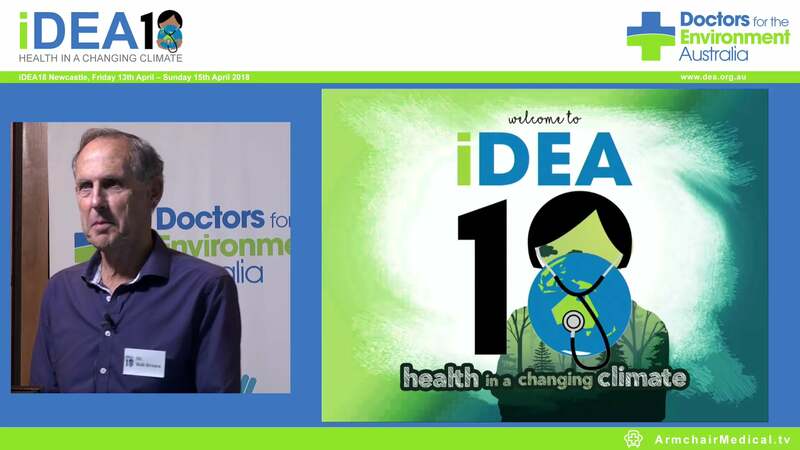 Dr Ewald will address the Doctors for the Environment Australia conference iDEA15 in Sydney on March 14. This opinion piece by Dr Ben Ewald and Dr David Shearman was first published in the Newcastle Herald on 13 March 2015.